Late summer – September sees Japan usually hit with destructive typhoons. Flimsy umbrellas are usually futile in holding back the torrential force of wind and rain. Part of japanese life, and often with deadly consequences. I have seen a few of these uniquely designed McDonalds Restaurants around Japan, but never photographed one. This shot was taken from the car, but you can see that the Golden Arches design is central to the building’s design. I quite like it. Has a 60’s feel to it…. Pictured at the MotoGP at Motegi in October 2011, this giant sized Repsol Honda looked kinda neat ! 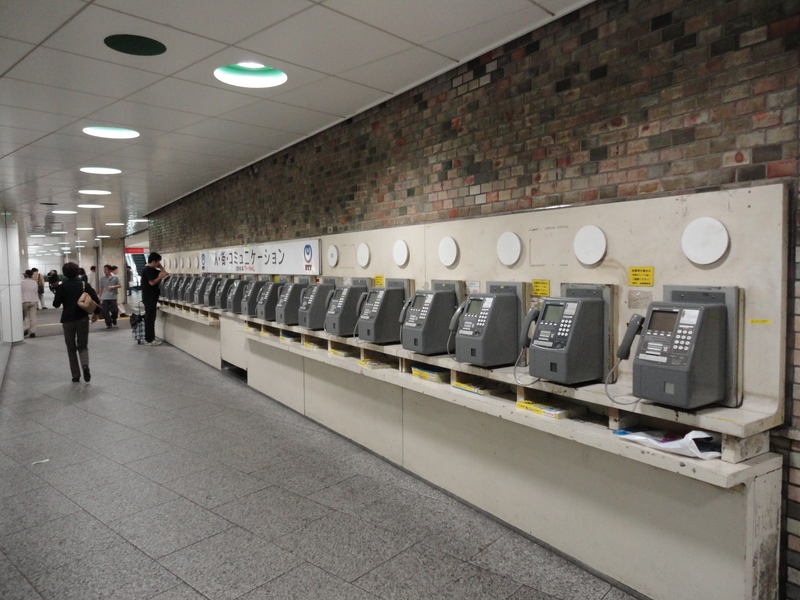 With the world seemingly reliant on the cellphone/mobile/ketei, are the days of the public telephone in Japan numbered ? Profits must be at an all time low, and I guess here in Japan, it is mostly tourists, or a select few who still seek out the public telephone. The city of the future ! 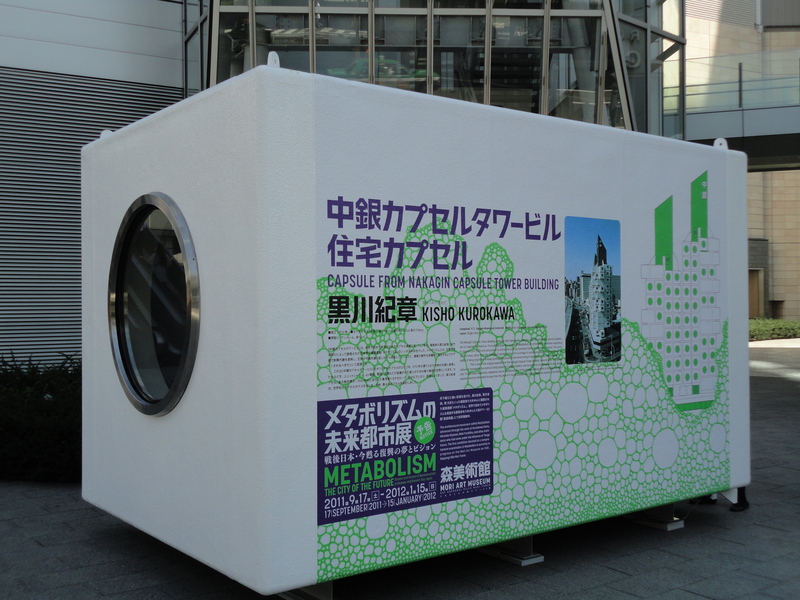 The Nakagin Capsule Tower Building, designed with replaceable capsules (completed in 1972), was the world’s first practicle application of capsule architecture. 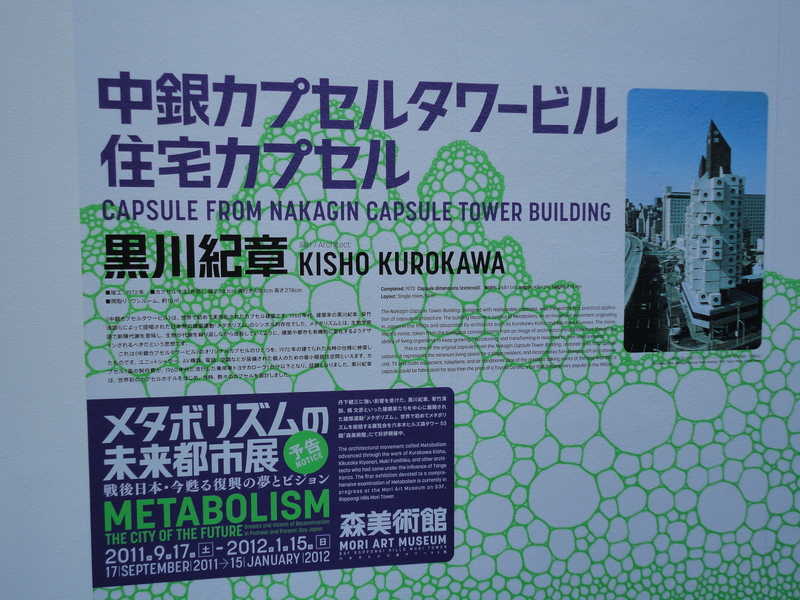 One of the actual capsules was recently on display in Roppongi and I thought it would make an interesting post ! This photo was taken one humid, early morning at Guangzhou Baiyun International Airport in southern China.